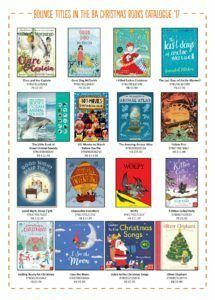 Bounce BA Christmas Catalogue Highlights – Bounce Sales & Marketing Ltd.
Customers will be seeing a lot of Bounce titles in this year’s BA Catalogue released in the Guardian this Autumn. You can stock up on them with this quick and easy order form. Simply download, browse and send us the completed form and be ready for those shoppers as they come in through the door.